When you think about smartphones in general, usually one name comes to mind – Samsung. 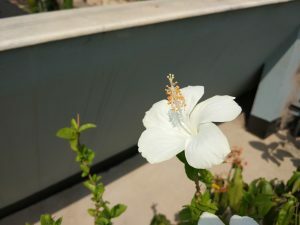 The tech giant from Seul is known for many amazing products and, amongst the smartphone enthusiasts, it is known mostly for their flagship Galaxy S line. Xiaomi, on the other hand, is not a well-known brand to the western audiences. Despite the fact that they are anonymous in the west, they offer many great products that are considerably less expensive than products of the rivaling companies. 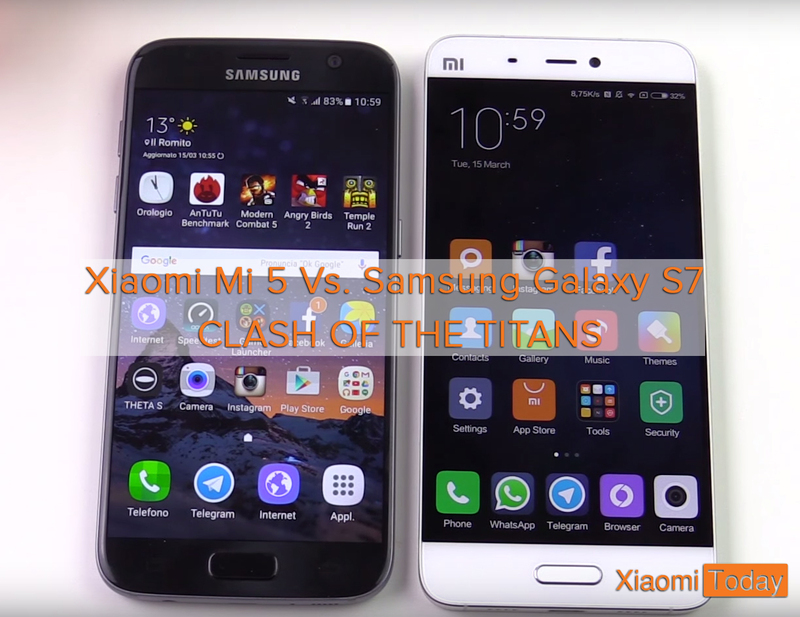 Today we’re comparing Xiaomi Mi 5 vs Samsung Galaxy S7, in a true clash of the titans! In one corner of our smartphone clash of the titans, we have Samsung Galaxy S7, a nearly perfect smartphone that leaves no one indifferent. In the other corner is a newcomer, Xiaomi Mi 5. The best smartphone that this company has to offer, and it is almost 40 percent cheaper than Samsung’s latest flagship device. What are the pros and cons of both devices? Which is better, faster, more durable? 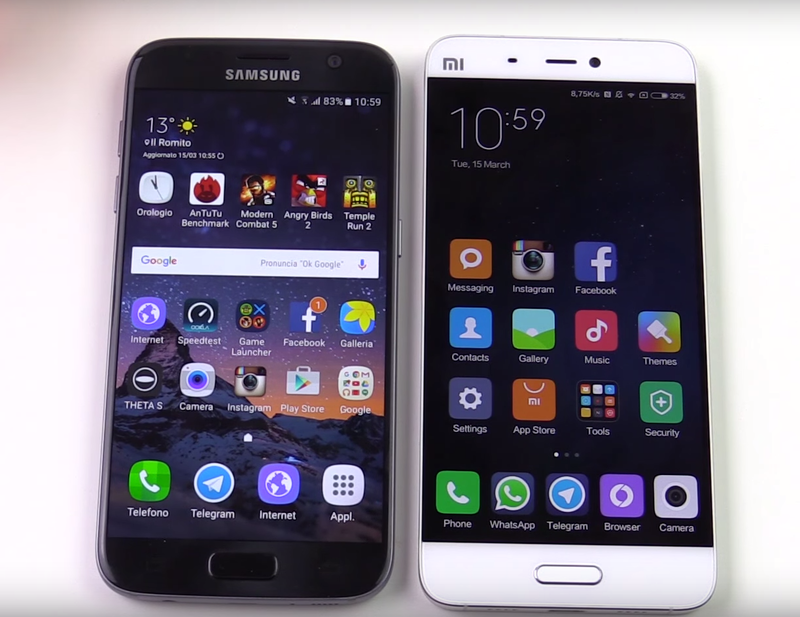 Learn what phone came out victorious in our Xiaomi Mi 5 vs. Samsung Galaxy S7 Comparison. They say that beauty is in the eye of the beholder so we can’t just compare these two models on the design basis. They are both greatly designed, made out of premium materials, and both are coming in several color variations. 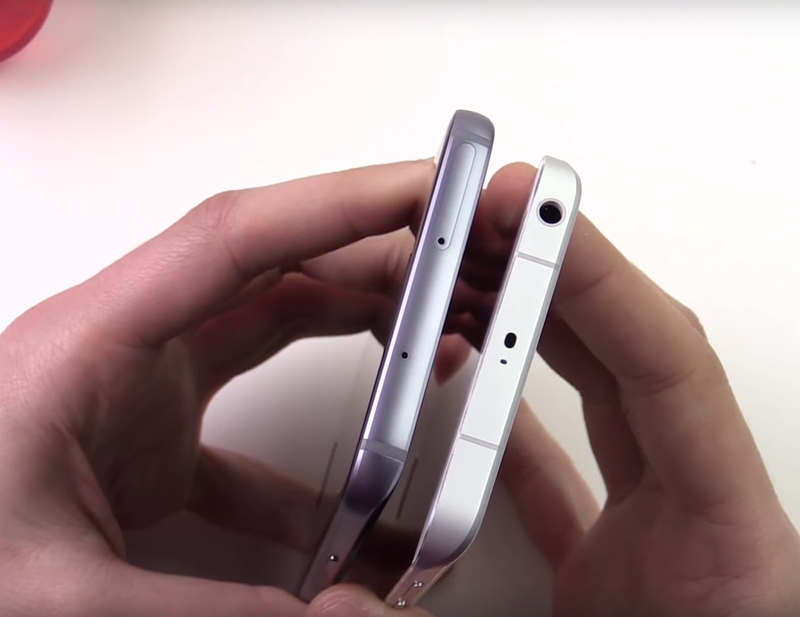 Mi 5 is a bit lighter (139 gr vs. 152 gr), slightly taller and slimmer. Both Xiaomi Mi 5 and Samsung Galaxy S7 have dual glass panels that cover them from both sides as well as an outer frame made of aluminum. Mi 5’s most expensive model features ceramic body below the glass cover. Xiaomi’s flagship is grippier than Samsung’s, and we didn’t fear that we will drop it from our hands. Seul based company’s flagship offers an IP68 certificate which means that it is water and dust resistant. This certification can be crucial for some people, so we give this round to Galaxy S7. If premium looks are your thing, you will not make a mistake if you purchase any of these phones. When it comes to the display many would give this round to Galaxy S7 instantly because of the resolution, but there is more than meets the eye in this department. Xiaomi Mi 5 features a 5.15-Inch FULL HD IPS screen with density of 428ppi. Samsung Galaxy S7 features 5.1-Inch QHD Super AMOLED screen with the insane 577ppi and Always on display technology. Both displays are crisp and have outstanding viewing angles. With the naked eye, you can’t really tell the difference between FULL HD and QHD on such small panels. Both displays are well protected with Gorilla Glass 4 technology. Mi 5 offers slightly better screen-to-body ratio with 73.1% vs. 72.1% that Galaxy S7 has to offer. Galaxy S7’s display has deeper blacks, more vibrant colors, and better sunlight legibility. Mi 5’s display is no slouch when it comes to color rendition and sunlight readability, but it is not on par with AMOLED technology. 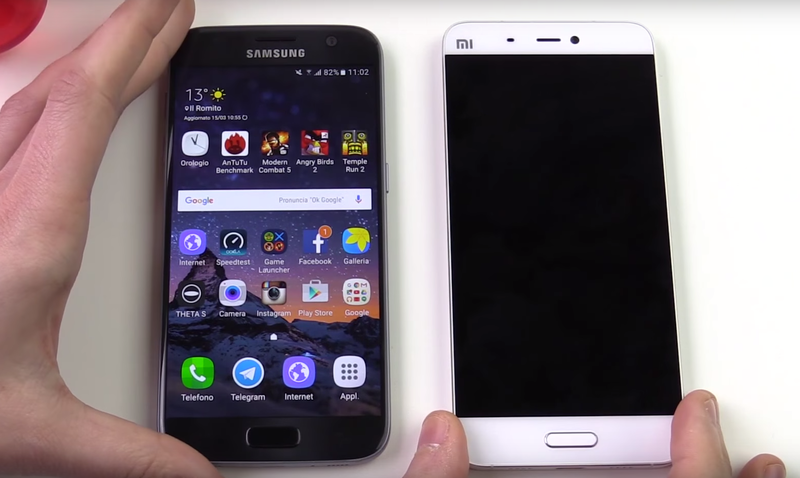 Xiaomi Mi 5 offers lower resolution screen than the Samsung Galaxy S7, but that can be a good thing also. Battery life should, in theory, be significantly better; and because of the lower resolution of the screen, chipset doesn’t need to work as much to push all those extra pixels. It is tough to decide the winner of this category, but we have to give this round to Samsung because of the greater resolution. 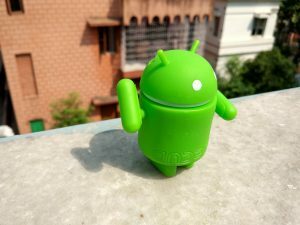 Everyone who knows that smartphones are mini computers these days is usually very concerned about CPU, GPU and the amount of RAM in the device. Both manufacturers offer several variants of their respectful devices depending on the price and market availability. Xiaomi Mi 5 offers latest 64-bit quad-core Snapdragon 820 CPU that is clocked at different frequencies depending on the price of the device. The amount of RAM can be either 3 or 4GB on the premium model, which we tested. Depending on the market, Galaxy S7 sports either Snapdragon 820 or Samsung’s proprietary Exynos 8890 Octa-core CPU clocked at 2.3GHz and 4GB of RAM. Both Mi 5 and S7 offer Adreno 530 GPU (Mali-T880 MP12 on the other S7 model) for the best gaming and video experience. In the day to day usage, there is no visible difference between these two models. Performance is excellent, and both devices run exceptionally fast. It appears that S7 is faster in some games and apps while Mi 5 is quicker in others. 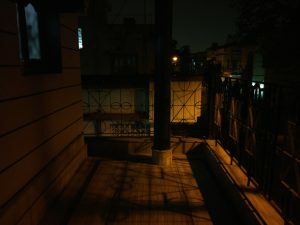 When playing some graphically intensive games, Xiaomi offered more frames per second simply because of the smaller resolution of its display. 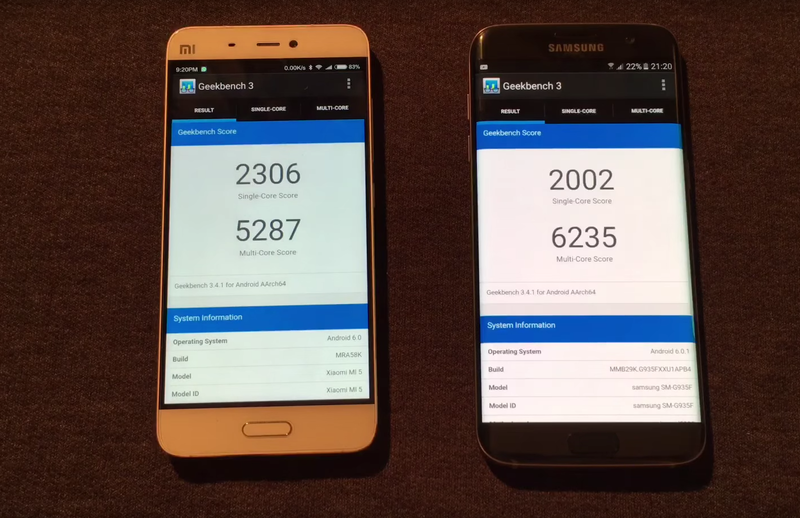 In synthetic benchmarks (if you feel the need for this kind of things) Xiaomi Mi5 came out victorious more times than Samsung Galaxy S7. When we did our speed tests we used Snapdragon variant of the Galaxy and premium version of the Mi 5 with 4GB of RAM and higher clocked CPU. 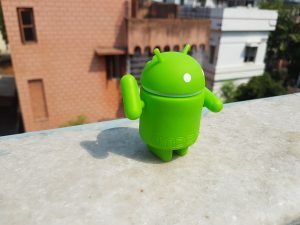 Both devices are the best of the best when it comes to sheer power, but we have to give this round to Xiaomi because of the higher framerate in some of the games. 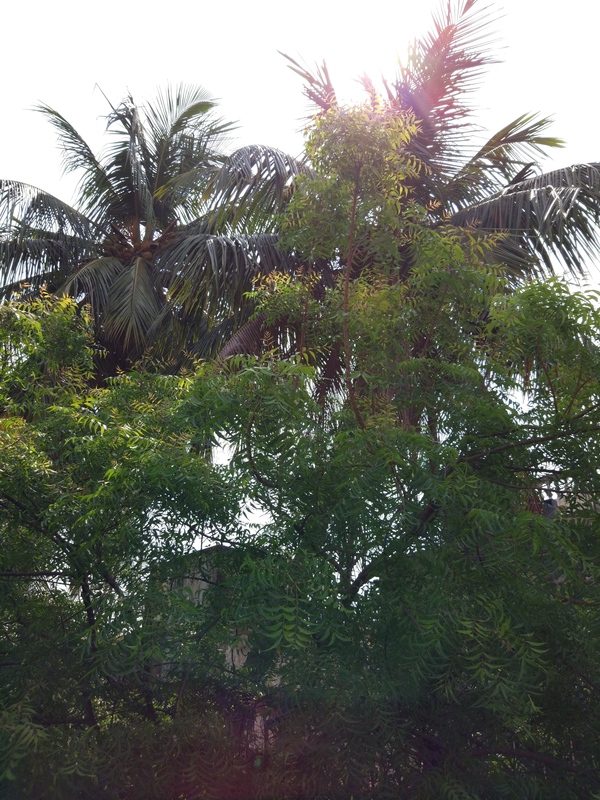 This comparison is starting to be tight because both devices perform splendidly in the camera department. 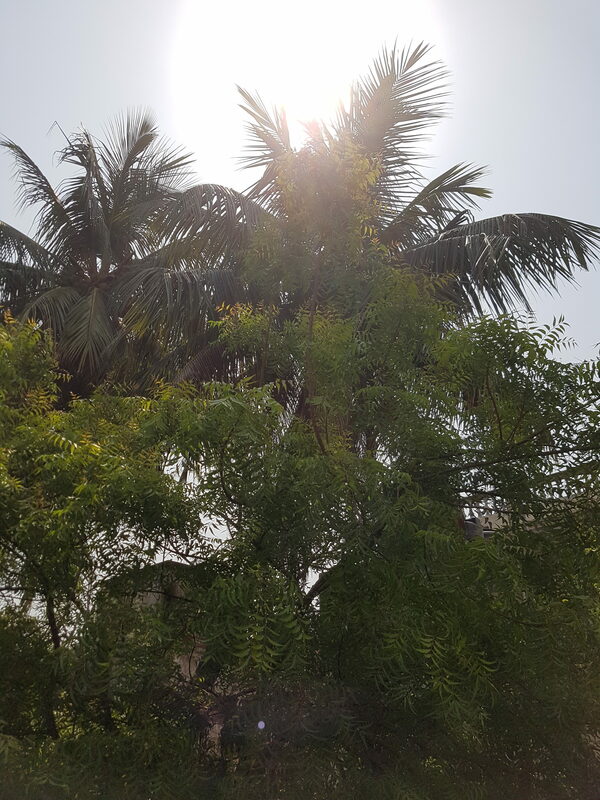 Samsung Galaxy S7 is equipped with a 12-Megapixel camera sensor that offers bright f/1.7 aperture. Sensor size is 1/2.6-Inch, and size of an individual pixel is 1.4 µm. It features OIS and a plethora of shooting options. Xiaomi Mi 5, on the other hand, has a 16-Megapixel camera sensor that offers 4-axis OIS and relatively wide f/2.0 aperture. Sensor size is 1/2.8-Inch, and size of the individual pixel is 1.12 µm. Both cameras have phase detection autofocus system and can focus instantly. However, Galaxy S7 has probably the fastest focusing camera on the market right now, hands down. Quality in the daylight situations is comparable, and both devices offer some of the best cameras on the market. We would give a slighter advantage to Mi 5 because of the greater resolution and more accurate colors. 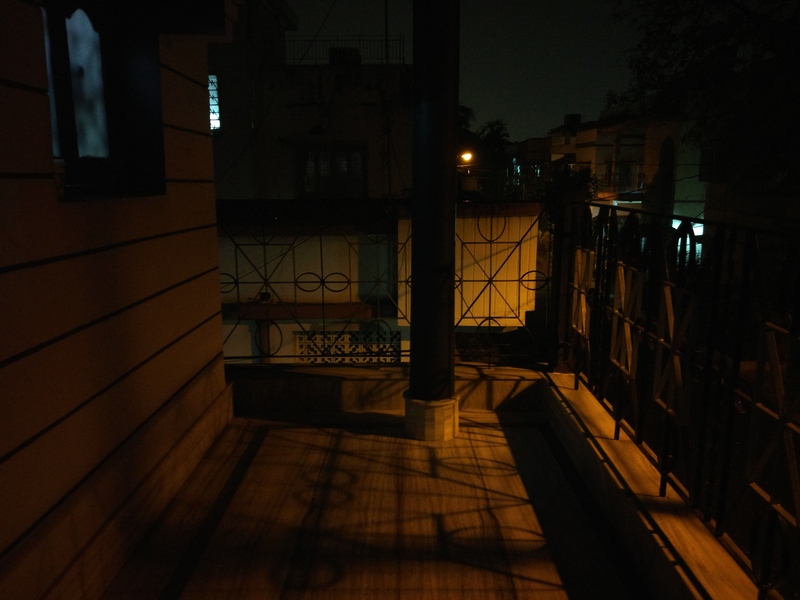 When it comes to low light scenarios, Samsung takes the lead. Images captured by Galaxy S7 offer more details and less digital noise. 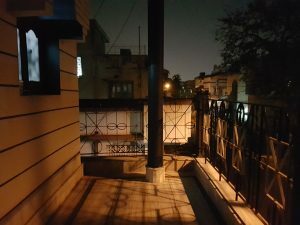 Not that Xiaomi Mi 5 have problems while shooting in the dark, but Samsung’s flagship is more accomplished in low light situations. 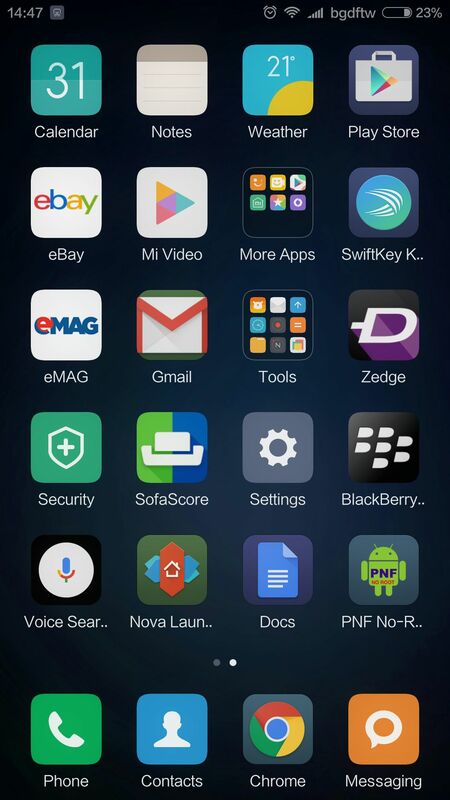 When it comes to ease of usage, we will give a point to Mi 5 because its interface looks simpler, yet more intuitive. In the front facing camera department, Samsung has an advantage in resolution with its 5-Megapixel sensor that offers wide f/1.7 aperture. Xiaomi bought an HTC’s patented camera hardware for its flagship device. 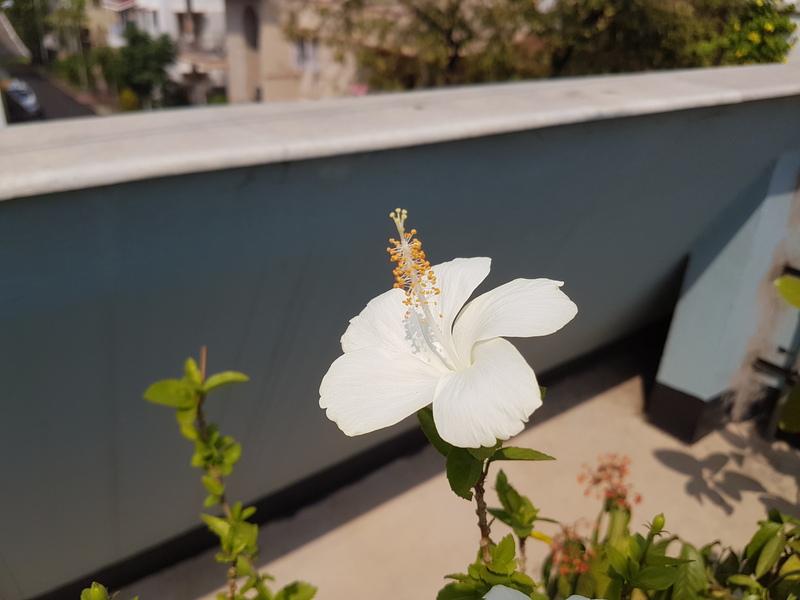 It provides a 4-Ultrapixel (HTC coined the term) camera sensor with reasonably wide f/2.0 aperture and large 2.0 µm pixel size. Both selfie cameras perform admirably well, but we would give the slight advantage to Galaxy S7 because its screen dubbed as the flash in low lighting scenarios. Here are some image samples of both devices in full resolution. 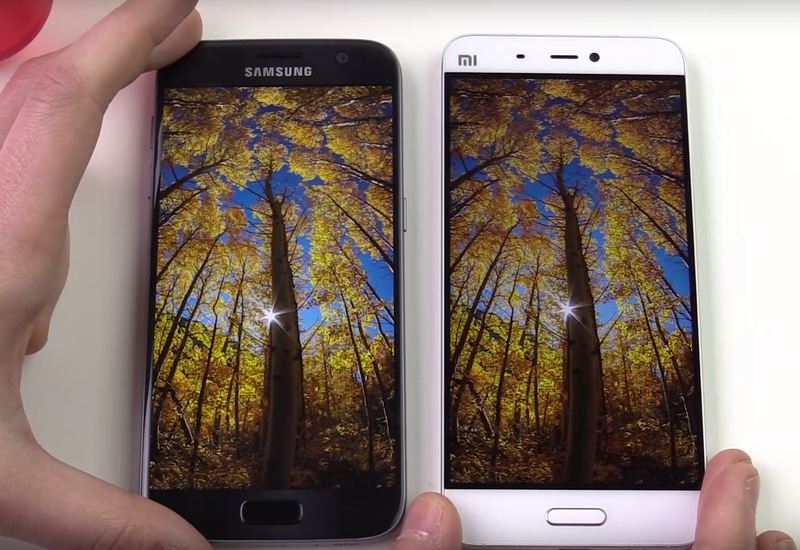 Galaxy S7 is on the right and Xiaomi Mi 5 is on the left. When it comes to shooting videos both devices, offer 4K recording at 30fps. 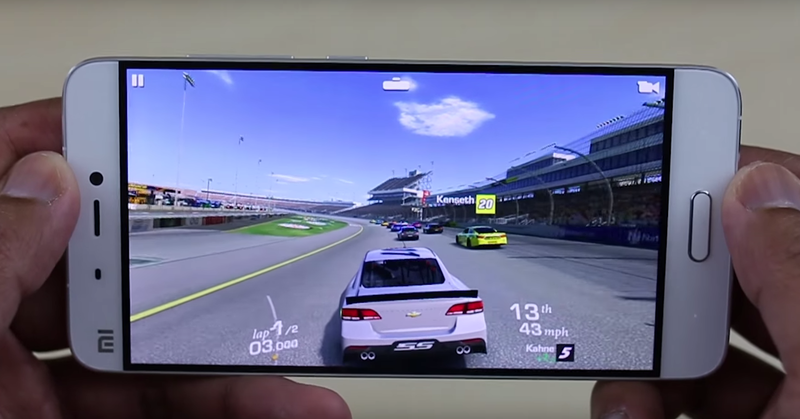 Galaxy S7 also has 1080p at 30 and 60fps, 2K at 30 fps and even 720p at stunning 240fps for slow motion videos. 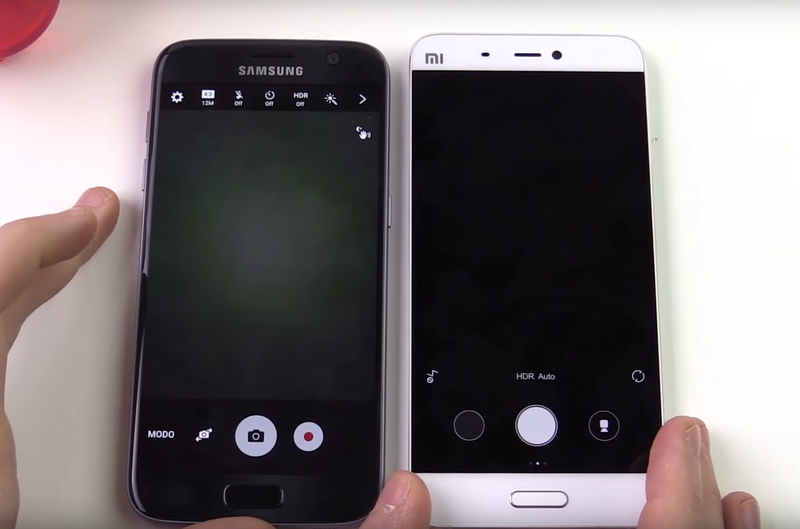 Xiaomi Mi 5 unfortunately offers only 1080p at 30fps and 720p at 120fps for slow-mo videos. Both phones are one of the best in the market when it comes to the video quality. Samsung has the advantage in the level of details of FULL HD videos as well as audio capture in its videos. Xiaomi has an advantage in video stabilization and color accuracy. Overall, Galaxy S7 offers better imaging and video experience but Mi 5 is in the close second place. There are several versions of Xiaomi Mi 5, a 32, 64 and 128GB version. 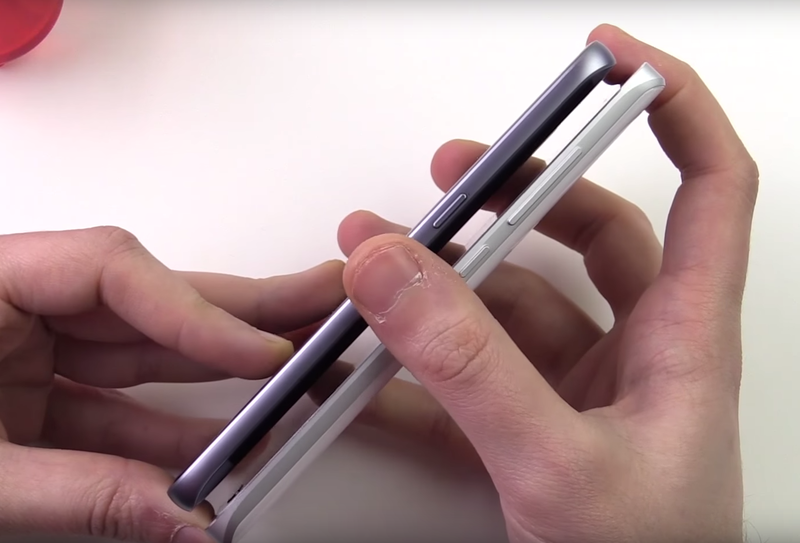 Galaxy S7 features 32 and 64, but it doesn’t feature a 128GB version. Instead, it offers a storage expansion via micro SD cards of up to 256GB. Mi 5 offers more internal storage on its premium model, and Samsung offers micro SD expansion. It is a tough decision, but we would give this one to Samsung even if you have to pay extra for micro SD card. Another tough round for the competing devices. Both devices come with Android 6.0 Marshmallow and custom UI on top. 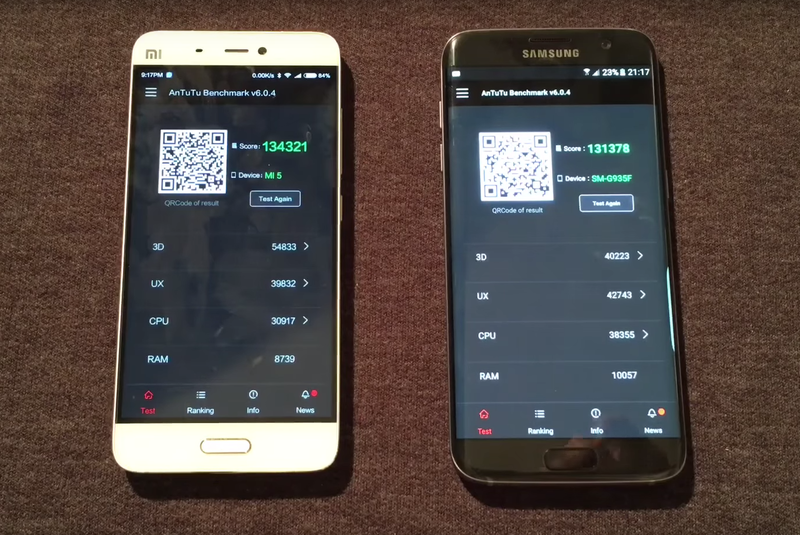 Xiaomi Mi 5 uses MIUI 7, a custom fork of Android that resembles iOS. It is clean, simple, extremely fluid and doesn’t feature much bloatware. It doesn’t have an app drawer, so all your apps are arranged on your home screen (yes, just like iOS). 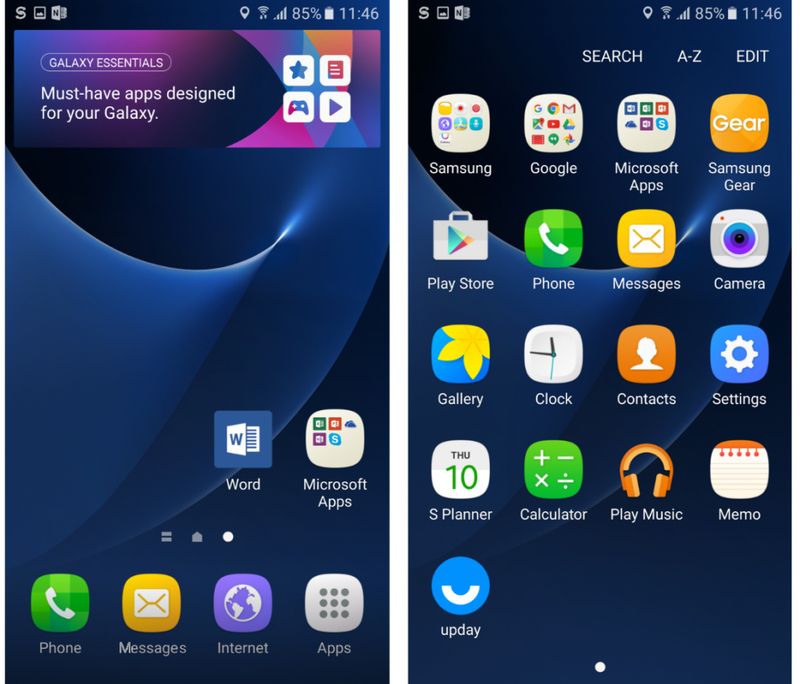 Samsung Galaxy S7 uses an infamous TouchWiz UI that was often criticized for bogging down and a having large number of bloatware apps. Samsung has trimmed down TouchWiz a lot and now it feels more like a native Android experience. It still offers a lot of neat tricks like split screen multitasking and Game launcher feature. MIUI 7 offers a simple user experience where everything just works, and TouchWiz UI is more complex and offers a lot more customization. Think of these UI’s like apples and oranges. Both of them are great, both of them are right for you. The only question is which one do you prefer, an apple or an orange? Both devices feature a plethora of connectivity options. We are talking about dual SIM dual standby, worldwide 4G LTE network connectivity, Bluetooth 4.2, Wi-Fi 802.11 a/b/g/n/ac, dual-band, Wi-Fi Direct and so on. Both smartphones feature GPS, A-GPS, GLONASS and BDS for easier, faster and more accurate locating. It is tougher to say which sounds better while talking on the phone but we would give a slight advantage to Xiaomi Mi 5 because it is a bit louder. Galaxy S7 features a Samsung Pay, which is a great way for using NFC and your phone as a debit card. Mi 5 features NFC chip as well, but you don’t have the ability to pay with it yet. Xiaomi has the advantage because if features an IR blaster (you can use your phone as a remote) and USB Type-C port. 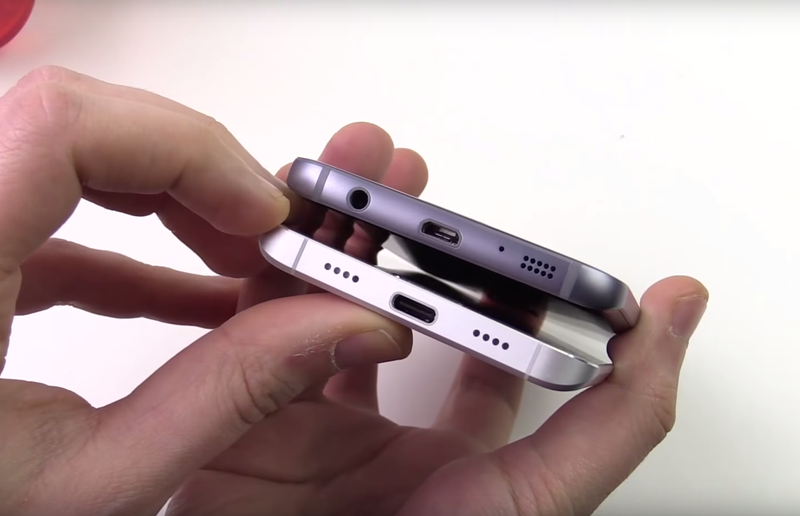 This port offers a reversible connector and greater transfer speeds than USB 2.0 that Galaxy S7 has. We need to give this one to Mi 5; Galaxy features Samsung Pay but Xiaomi has an IR blaster, and you can’t beat that. Both devices feature 3000mAh non-removable batteries but the one on the Mi 5 is lithium-polymer, and the one on the Galaxy is lithium-ion. Both devices offer Qualcomm’s Quick Charge technology, and the one on the Mi 5 is newer (3.0 vs. 2.0 on the Galaxy S7). 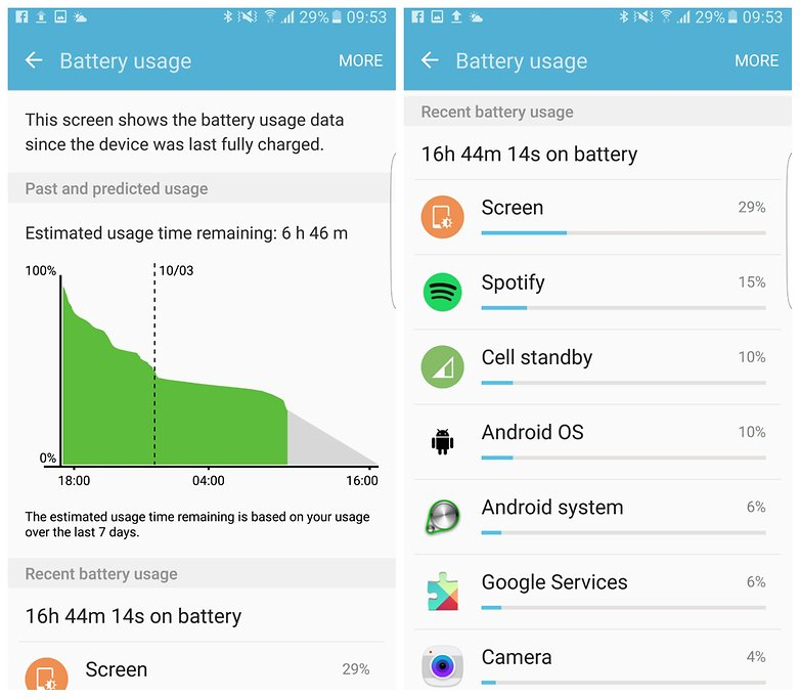 Mi 5’s battery is charged to 83% in 30 minutes while the Galaxy S7’s battery is charged to “only” 60% in the same amount of time. With our usual usage patterns (browsing, playing games, some social networking, listening to music) both devices lasted for more than day and a half on a single charge. When talking about the usage, both batteries are abnormally good. The thing is that Mi 5 has a lower resolution screen, so it is able to perform better and last longer. Samsung’s battery saving algorithms are known widely, but not even that could save it from Mi 5’s quick charging and durable battery. Victory in this department goes to Xiaomi Mi 5. It is tough to say which device has more additional features because both offer a lot of bang for a buck. Fast and consistent fingerprint scanner is one of those features. It works exceptionally on both devices, and we can’t set aside either of them. Some sensors like gyro, proximity, barometer, accelerometer and compass can be found on both devices, but Galaxy S7 offers even the heart rate sensor and SpO2 sensor. S7 also features S health app, S Voice, and KNOX security system and because of that, it takes the win in this department. In this part of our comparison, we will list essential advantages of one device over the other for you viewing pleasure. When you consider all the facts, it is tough to pronounce a winner of this competition. Both devices are excellent, and they performed astonishingly. 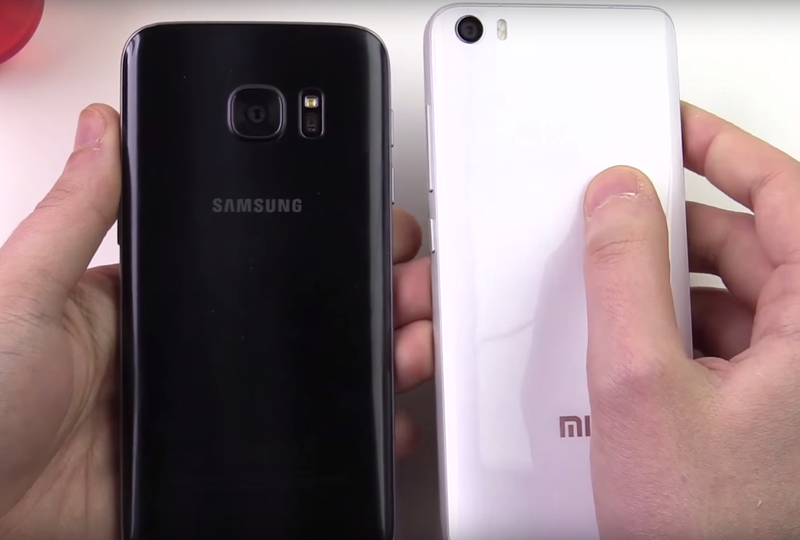 Samsung has an edge in various departments, and Xiaomi has the advantage in other. The only thing where Xiaomi Mi 5 takes a huge leap over the S7 is its price. For the price of one S7 in certain markets, you can almost buy two Mi 5’s, and that is Xiaomi’s main selling point. In the end, it only depends on your personal taste and the amount of money you are willing to spend on the device because you can’t go wrong with either one. If you want to buy either of these great devices just hit on any of the buttons below, we’ve found some amazing deals for you. What is your opinion? Which device would you buy? Let us know in the comment section below. Onda Tablet V972 Review, a redeemed product. Xiaomi Mi Cube - Is a $13 Mini Cube enough to Control your Smart Home?